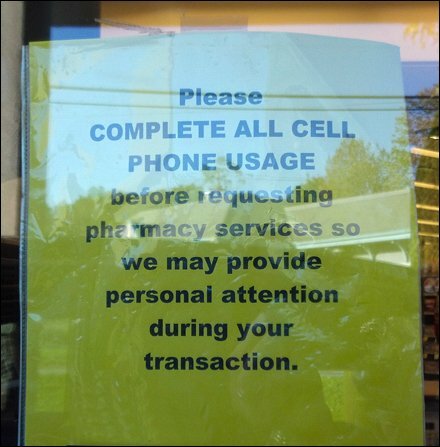 Ever long to post a sign urging your customers to get off their cell phones so that you could better serve and deal with them? Here is one drug chain’s attempt. Can you suggest a better or more polite message? If anything, this one is far from direct. But how can you be direct AND polite at the same time … Bia-tch.